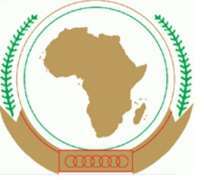 We, members of the Forum for Former African Heads of State and Government, commonly referred to as Africa Forum (AF), have been deeply concerned about the protracted civil war in Syria, which has now raged for two-and-a-half years. It has been our understanding from the beginning that this conflict was occasioned by serious differences among the Syrian people concerning their country's constitutional and political system. It was also our understanding that the root cause of the conflict was and remain essentially political. Accordingly, its solution could only be political, and not military. Against this background, we have therefore held the view that the Syrian belligerents must urgently enter into inclusive negotiations to end the civil war through a peaceful process. Consequently, the international community has had the solemn responsibility to encourage and assist all the Syrians to engage in these inclusive negotiations. In this regard, as Africans, we have been ready to give all necessary support to the two eminent Africans, Kofi Annan and Lakhdar Brahimi, who were given the onerous responsibility to facilitate a peaceful resolution of the Syrian conflict. We, therefore, support the fundamental position agreed by major players in the world concerned about Syria, in favour of a peaceful resolution of the Syrian conflict, as reflected in the June 6, 2012 Final Communiqué of the Geneva Conference on Syria. Accordingly, we have been and are opposed to all international interventions which have added and would add fuel to the fire, by arming any and all the Syrian belligerents. We have received with horror the news that chemical weapons have been used in this conflict, and strongly condemn this. We are therefore convinced that all Member States of the United Nations (UN), without exception, should rely on the UN to establish the truth, to the best of its ability, with regard to various important matters. These are whether and what chemical weapons were used, where and when, and who used them. As Africans we remain acutely conscious of the elaborate disinformation campaigns in which major powers engaged, among others by using world media outlets, to propagate falsehoods to justify their armed interventions in Iraq and Libya. The only correct response even to the use of chemical weapons is not further to escalate the violent conflict, but radically to intensify and accelerate the effort towards a negotiated peaceful resolution of the Syrian civil war. Therefore, as Africans, we strongly urge that all Member States of the UN, again without exception, should desist from taking any military action in Syria of any kind, including using the alleged use of chemical weapons by the Syrian Government as justification for such action. The speedy and correct resolution of the conflict in Syria demands the exercise of courageous and stellar statespersonship, without regard to the personal and national short-term interests of particular politicians in our various countries. We strongly urge that no foreign power whatsoever should insert itself in the immensely destructive Syrian civil war as a belligerent, even on the basis that it seeks to deter the use of chemical weapons. All those who would be statesperson players on the global stage, today, must understand what motivated the statespersons of the day, at the end of the Second World War, to insist on the establishment of international institutions, processes and law to help ensure the peaceful resolution of conflicts within and between countries. That insistence by the Allied Powers against Nazism resulted, among others, in the adoption of the UN Charter, which is a fundamental and inalienable part of contemporary international law. We, on our part, as Africans, are directly interested in a law-governed rather than an arbitrary system of international relations, imposed on the world by those who exercise military and other might. For this reason we insist that any action which practically repudiates the UN Charter would be an historical regression that takes all humanity backwards towards an unacceptable past, thus to repudiate the inalienable right of all nations to determine their destiny. International law upholds the view and sets the norm that conflicts within and between States should be resolved peacefully, rather than through resort to force. We strongly support the view that, in the main, international law prohibits that any State should intervene in any other to encourage the violent overthrow of the Government of the day. This international law also regulates all such interventions as would be said to discharge the so-called 'responsibility to protect' peoples subjected to unacceptable human rights violations by their own Governments. Consistent with all the foregoing, we are convinced that the international community has a solemn obligation to do everything possible to help end the Syrian conflict by peaceful means. We urge that all African Governments, and all other Governments throughout the world, working though the UN, must act urgently to help achieve this outcome, in the fundamental interest of the peoples of Syria and the rest of the world. It is our hope and expectation that all relevant multilateral organisations, including the African Union (AU), led by the UN, will, at last, discharge their responsibility aggressively and faithfully to represent the view of the peoples of the world in favour of peace, refusing to be intimidated by those who exercise inequitable global political, military and other power.